In my blog on Core Purpose and Values in Swimming, I wrote about the importance of swimming in an ‘artful and examined’ manner. My recent correspondence with Louise Twining-Ward and Laura Gibson Rimer (left and right below at Coney Island for Grimaldo’s Mile), two recent converts to the joys of open water swimming, is a great illustration of what that means. Both have been striving to increase efficiency via the Self-Coached Workshop DVD and have begun practicing with a Tempo Trainer. I suggested a few ‘starter sets’ with the TT. This exchange reveals how their thinking was influenced along with their swimming. Louise: We attempted your set of gradually increasing distances, while counting strokes and maintaining tempo at 1.3 seconds per stroke. I could hold stroke count steady at shorter distances but not as distance increased. It’s a whole new element of the art of swimming to focus on these metrics! Laura: Swimming next to Louise at constant tempo of 1.3 and slipping steadily behind made me realize I needed to be more efficient. With the Tempo Trainer dictating how fast I could stroke, my only option was to get more out of each stroke. So I focused on Patient Hands and a Mail Slot entry. I have a ways to go but feel I improved those a tiny bit. But it was just as encouraging to feel my thoughts were focused and not all over the place. You’re on your way, clearly. Louise’s description of experiencing what’s usually a ‘workout’ as an art form should become a touchstone. To do swimming as a movement art—and then transform races into a work of art–begin by consciously striving to solve problems such as you encountered in this set artfully more than physically. Doing so doesn’t diminish the physical aspects. Rather it informs them. My most interesting experience with the Tempo Trainer is that while, on the surface, it seems technical, the effect it has on your consciousness is to encourage artfulness — in the form of cunning — over exertion. For example, with the TT set at 1.3, you soon realize every stroke has a ‘time cost’ of 1.3 seconds. That strongly motivates you to ‘save’ strokes. Saving just one stroke over 25 meters results in saving a full minute for 1500 meters. And as Laura intuited-on-the-fly, an emphasis on smoother, quieter, more precise movements is the best way to save strokes. Since this is precisely the opposite of what your instincts (and most external advice) urge you to do, you realize how important examined thinking is to swimming well. What I love most about swimming is constantly discovering conundrums and paradoxes like this. Could you share your ‘starter sets’ with TT, pls. My 1 month experience of swimming with a TT resonants with that of Louise & Laura. I’ve managed to bring my SPL (in a 25m pool) from 27 to 24 today using the patient hand and mail slot entry focal points. Am wondering what else I need to do to reach 20. I’ve been doing all the TI drills conciously and purposefully, and that has helped me achieve bilateral breathing comfortably. The TT also helps me stay focus and calm in my environment. I really get a lot out of using the Tempo Trainer in open water swimming. One of my favorites is when I am swimming 500 meter repeats with someone who swims at the same speed as I do. On the first 500 m, I will set the TT at a rate about .10 sec slower than my normal rate, and try to keep up with my swim partner (who doesn’t use a TT yet). Some days I fall behind, and realize I have to concentrate more on technique to keep from falling farther behind. On those days where I am able to keep even with my partner, I sometimes slow the SR down a bit more for the next 500 m, and try to stay even with him at this lower SR. Usually after 1500 m or so, I get tired of listening to the TT, and I set it to 30 seconds for the next 500 m. With the TT set at 30 sec, I count strokes between beeps, multiply by two and I have my SR (in strokes per minute). I will frequently consciously try to swim at a specific stroke rate, and see how closely I can match it after 1 minute of counting. I also use the 30 sec. intervals between beeps to concentrate on one specific focal point at a time. These examples demonstrate that you have an intuitive grasp of how to exploit the subtler aspects of what the TT can do to challenge you in a positive way in practice, and imprint the most advantageous stroke habits. I’ve done very similar things (except the 30 second setting – need to try that). For example, while swimming with 3 to 5 friends I’ve had the whole group set Tempo to the same setting and have a TT ‘race’ on the 200m course at Lake Minnewaska. First person to the other end will always be the one with most stroke efficiency. And without TT I’ve done the same thing, in practice and races, watch the stroke rates of someone swimming next to me and see how far behind them I can fall in rate, yet stay with them in pace. I’ll be writing an ebook guide to Tempo Training shortly, but right now you can find many TT sets on the TI Discussion Forums, in the Favorite Practices and Sets conference. This is great. Maybe it’s just me but I never know how to evaluate commentary about tempo training unless I know the direction of the change. Were these swimmers swimming at new faster tempo than before? It sounds like this tempo was suddenly slower than the expectations. The difference from expectations is the part I’m missing. I must have a slow, stroke because the few times I’ve used the tempo trainer I’m surprised how rushed I feel. I don’t get that impression from this blog post. I’m pretty certain it was slower for Laura. Not so sure it was for Louise. 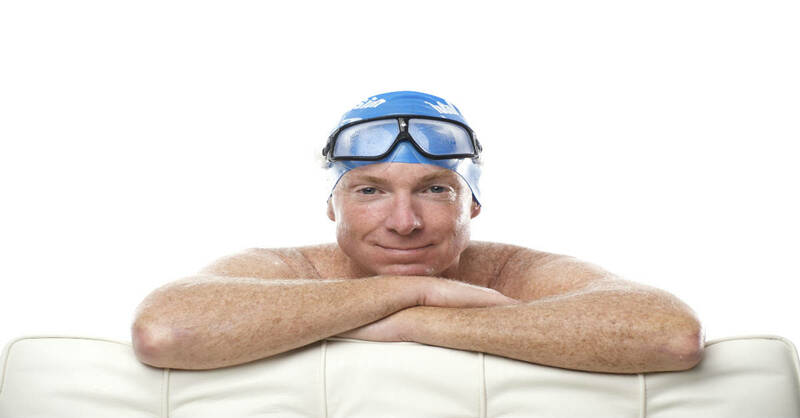 Hi Terry, I have been reading your books/videos and website for years and you have been a big inspiration to me in appreciating the art and joy of swimming. My training partner Michael Patrick, 55 and I, 53 are serious masters swimmers in Ontario. We have both been in the world top ten and Michael won all the freestyle events at this years Canadian Championships. We incorporate significant amounts of time working on length- we can swim 50m short course repeats at 39/40 seconds, taking 27/28 strokes per 50(13/14 SPL), when we increase our speed to 35 sec/50m our stroke count increases to 16SPL. We have set a goal to break 18:15 for the 1500m freestyle at next year’s Ontario Provincial Championships. Recently we have been incorporating the TT into our practices. A favourite warm up set is your 4×25,3×50, 2×75,1×100 taking 13SPL and then doing it 3 more times using the TT at different descending tempos while seeing how they effect both stroke count and time. Although we haven’t yet tried your exciting set of 400’s at various tempos, we will soon. As you have been so helpful to us, where is the best resource amongst your TI instructors to learn how to increase stroke rate while getting as much length as possible? Any chance that there will be any TI workshops in southern Ontario in the future. Thanks for all you have done for me. It is refreshing to know that there are so many terrific, enthusiastic people in the TI community. Ian, where in southern Ontario are you located? I’d consider organizing a weekend training-oriented program up there. Have you followed the thread I’ve updated fairly regularly the past two months with examples of my summer training? I suggest you and Michael post the practices you’ve done on the Favorite Practices and Sets conference. I’m sure you’ll receive much feedback – including from me. Thanks Terry, although we both live just east of Toronto in Oshawa, the two best pools would be either the Etobicoke Olympium or University of Toronto. As a past president of the Etobicoke Olympium Masters Aquatic Club, I can assure you that there is an extremely vibrant swimming community and that TI would be greatly received. I shall start posting our workouts soon. Thanks for the input.